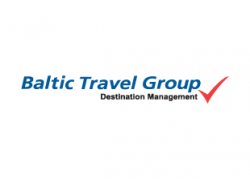 Baltic Travel Group is made up of a diverse, enthusiastic group of people all sharing a deep passion for the Baltic States. We pride ourselves in offering a professional, yet personal service. Our staff has a first-hand and excellent knowledge of the Baltic States and enjoy planning each unique trip. Baltic Travel Group success comes from listening to our clients and creating solutions that meet their needs. Exceeding customer service expectations continues to be the key to our success!